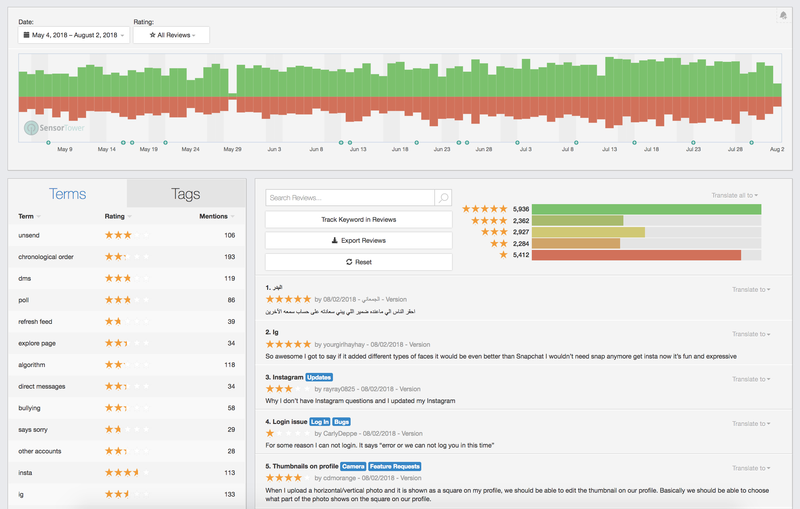 The Review Analysis feature surfaces valuable user feedback by date, country, rating, and searchable terms. In the Terms column, you can sift through the most mentioned review terms to identify your users’ biggest pain points and export the reviews as a CSV file. With this feature, you can dive deep into user feedback and analyze user needs to help prioritize user problems and product requests. 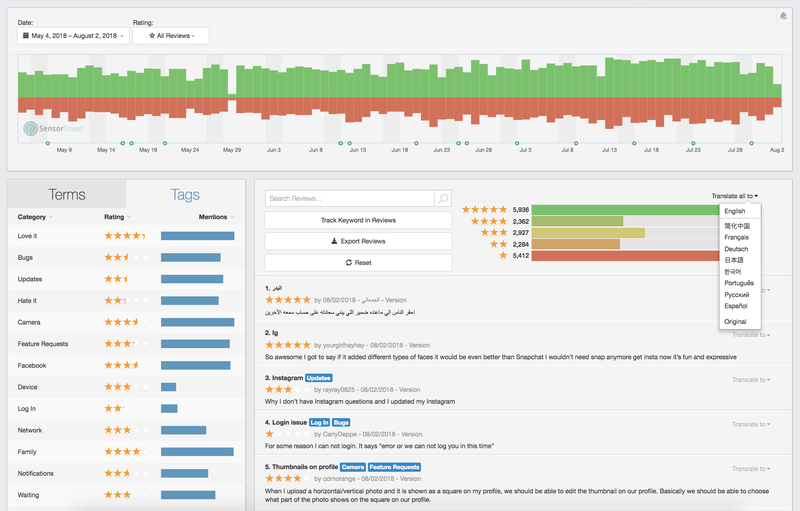 In the Tags column, through natural language processing, Review Analysis also provides you with tags such as “Love It!” and “Bugs” to help you easily analyze review sentiment or themes. You can also translate reviews into multiple languages, and export them into a CSV file to conduct your own analysis. This feature is only available to our Enterprise App Intelligence users.